The third and final look is a work outfit which you can go out in by changing one piece in the outfit which in this case is a jacket. 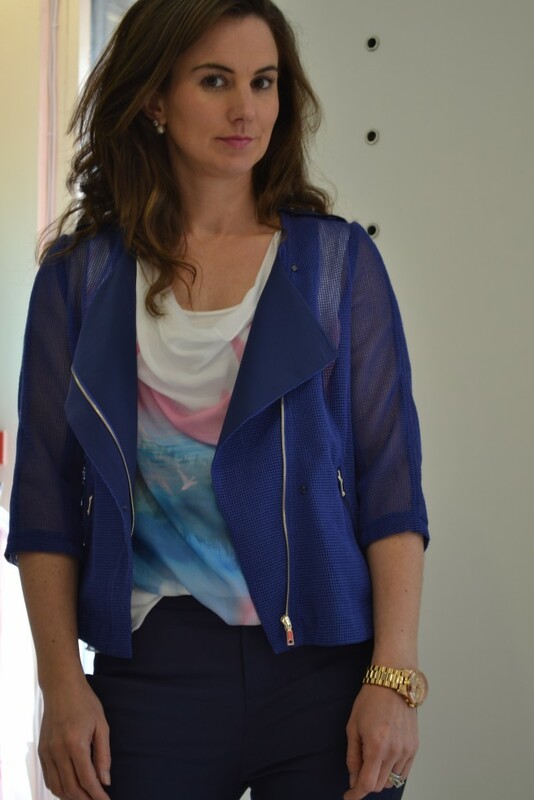 I styled these amazing navy Lily trousers with the gorgeous sleeveless Marc Aurel cowel neck top and blue navy Lily biker mesh jacket which makes the outfit really interesting. To take it into the night I changed the Lily jacket with this gorgeous stretchy lace Marc Aurel jacket and a gorgeous long silver necklace. They would look gorgeous in a patent stiletto or a metallic heel. All of this can be found in our store or online, www.codonnell.ie , so do pop in or call us on 061 415932. Let me know what you thought of this look.